Shaykh Wajid began his religious studies at the tender age of 16 under the guidance of Mufti Faazal, at the al-Mustafa Cultural Centre. He has studied in the UK for the last 9 years under traditional tutelage with no compromise, not missing a single class during this period. Still a devout apprentice of sacred knowledge, Mawlana Wajid is currently studying further advanced Islamic studies with Mufti Faazal and Mufti Aslam Banyalvi (hafidhahullah). He also serves as one of the Imams at Jamiyat Tabligh-ul-Islam Victor Street Masjid in Bradford where he also teaches. 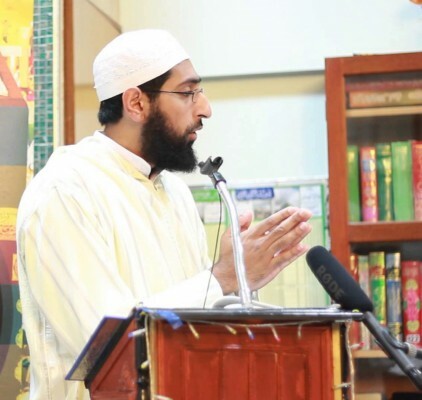 He also teaches at the al-Mustafa Centre in Bradford and various other institutes - covering dars-e-nizami as well as a variety of other topics such as Shama'il, Arabic, Fiqh, and Aqida.